STRAIGHT FROM THE DEVS: January 24, 2018 (Kenilworth, NJ) - -MAINGEAR announced today a strategic partnership with Unikrn, a leading esports brand. 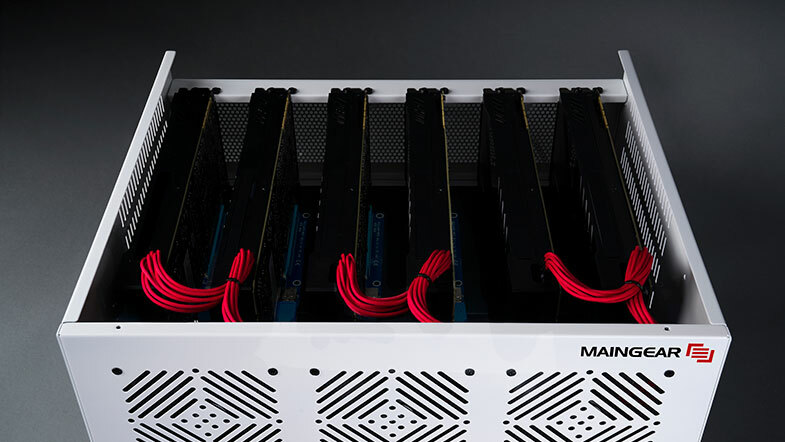 MAINGEAR will be breaking new ground into crypto mining with co-branded UnikoinGold (UKG) crypto-mining capable PCs — the MAINGEAR ACM Advanced Crypto Miner and MAINGEAR ACM PRO — available later this year. The new MAINGEAR ACM (Advanced Crypto Miner) is engineered to be the ultimate crypto mining system with a desktop form factor. Featuring a unique cube-shaped chassis and options for MAINGEAR automotive paint finishes and MARC II full coverage artwork, the MAINGEAR ACM is designed to look as good as it performs. For professional installations, the MAINGEAR ACM PRO will offer additional expansion as well as a rack mountable chassis. Both systems will allow for the mining of Ethereum or Unikrn’s UnikoinGold, and will offer owners exclusive mining pools and rates so they will be able to build their UKG stores at unparalleled efficiencies. Additionally, starting today, MAINGEAR will begin to accept UnikoinGold as a payment option for their award winning lineup of gaming desktops and notebooks. UnikoinGold is becoming accepted as payment by a growing number of partners, and can currently be earned and used on Unikrn’s platform to win gaming prizes such as peripherals, lifestyle products, gaming skins and more UnikoinGold. All machines will also offer customers an option for an exclusive native link to Unikrn Connekt, which uniquely allows gamers to earn UnikoinGold for playing ranked matches of their favorite games, tracks their stats and performance and more on the Unikrn platform.